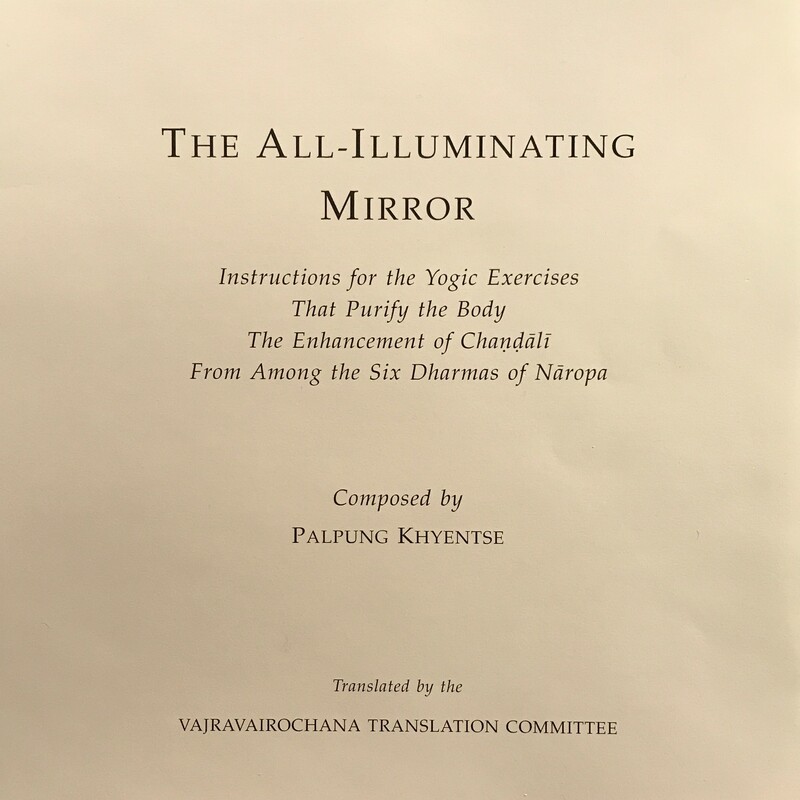 During the practice of chandali, the student will begin to engage in the practice of trülkhor (special yogic exercises, not the same as lüjong) for which an additional text is required, entitled The All-Illuminating Mirror. (The ngöndro practice and first few sections of chandali do not involve trülkhor.) 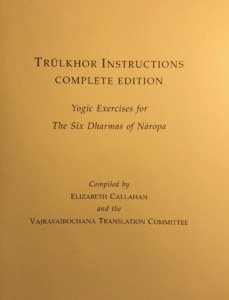 The complete trülkhor text (67 pages, $25) is designed to accompany the main practice texts, all fitting together in the hard cover provided with the main practice texts. 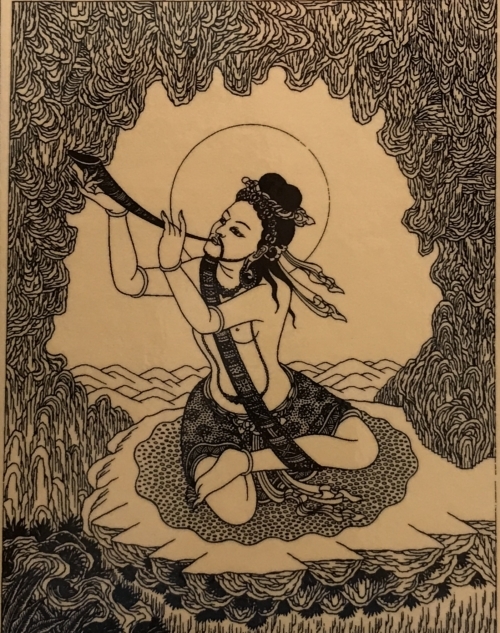 The most important of these exercises were taught by Tenga Rinpoche, and his instructions for these are found in the Six Dharmas Practice Manual. 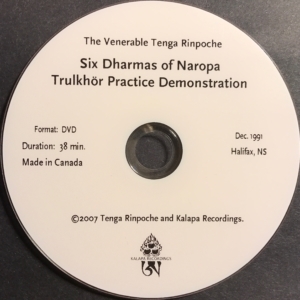 Tenga Rinpoche also made a video DVD demonstrating these (Dec. 22, 1991, 45 min., $20). 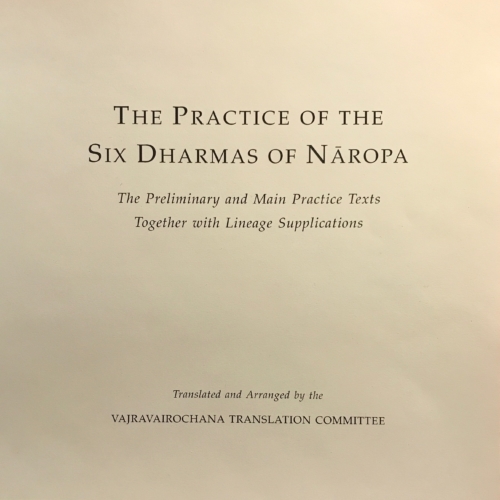 The complete set of exercises have been practiced at Söpa Chöling, and instructions for these were compiled by Elizabeth Callahan and the NTC in a booklet entitled Trülkhor Instructions: Complete Edition (51 pages, $25). 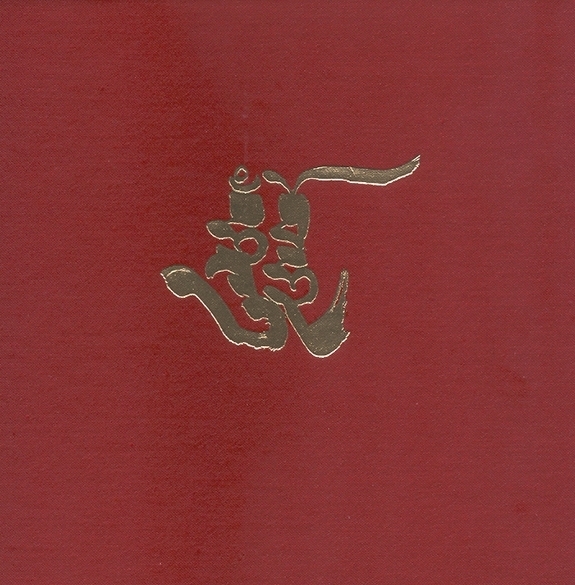 For students practicing under the guidance of Khenpo Tsültrim and Elizabeth, a couple of the subsidiary exercises are usually taught at the beginning, and so this booklet becomes useful early on, even if one does not pursue the entire program of trülkhor. The subsidiary exercises may also be of interest to those wishing to engage in trülkhor in more depth. Please note that trülkhor must be learned in person from an authorized trülkhor instructor. 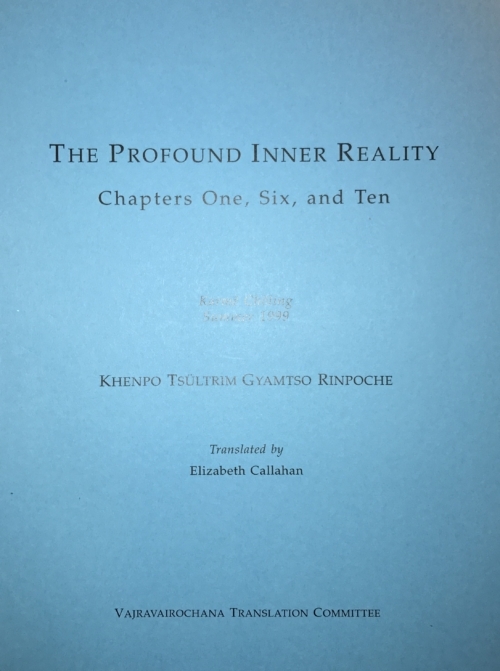 The written instructions and video (by Tenga Rinpoche) are extremely helpful for refreshing one’s memory and understanding the fine points, but one has to have learned them in person first.